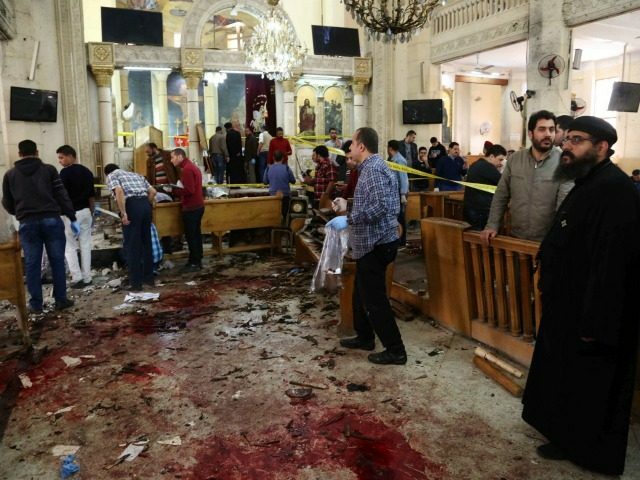 Writing for the Spectator magazine on Sunday, Damian Thompson pointed out that the twin bombings of churches in Egypt on Palm Sunday constituted a religiously motivated attack on Christianity that must be recognized and dealt with as such. The attacks, which killed 49 and left more than 100 injured, were not “against all Egyptians,” Thompson notes, but directed specifically to Christian in their houses of worship, precisely to avoid any ambiguity regarding the intent. This was rather “an attack on Christians simply because they are Christians,” he noted. Thompson said that calling Sunday’s attacks an assault on “all Egyptians” would be like calling Boko Haram’s relentless slaughter of Christians an assault against “all Nigerians.” It simply isn’t the case. The Spectator article points out something that should be obvious, but too often is brushed over or manipulated to look like something else. The people committing the massacre were Islamist radicals acting in the name of Allah and their attack targeted Christians in the act of worshiping God on the morning when Jesus Christ’s triumphal entry into Jerusalem is commemorated. Frustrated with the West’s misinterpretation of their motives, representatives of the Islamic State—which claimed responsibility for Sunday’s slaughter—produced a special issue of their propaganda magazine Dabiq last summer to disabuse Westerners of their misconceptions of jihad. We hate you, first and foremost, because you are disbelievers; you reject the oneness of Allah – whether you realize it or not – by making partners for Him in worship, you blaspheme against Him, claiming that He has a son, you fabricate lies against His prophets and messengers, and you indulge in all manner of devilish practices. “Furthermore, just as your disbelief is the primary reason we hate you, your disbelief is the primary reason we fight you, as we have been commanded to fight the disbelievers until they submit to the authority of Islam,” the authors added. “So in the end, you cannot bring an indefinite halt to our war against you. At most, you could only delay it temporarily,” they wrote. Islamic State representatives took special offense at Pope Francis’ claims that their war was not being waged for religious motives, assuring the pontiff that their sole motivation is religious and sanctioned by Allah in the Qur’an. ISIS criticized the Pope for his naïveté in clinging to the conviction that Muslims want peace and that acts of Islamic terror are economically, rather than religiously, motivated.